Your annual Fourth of July barbeque doesn’t signal the end of your summer. It’s only just begun, and you have plenty of time to see the world before the heat of the season sizzles out. The timing might be right, but you may be hesitant to book your next trip. It’s not the latest terrorist attacks around the globe or rising geopolitical issues that keep you from travelling the world. It’s your budget. You’re by no means one of the top 1% but neither are you fully care-free. You’re solidly apart of the middle class—which can place you in a difficult position when it comes to your vacation. You have some savings set aside, but you aren’t sure if they are substantial enough to cover your summer holiday. If you aren’t sure about your financial chances abroad, you’ve come to the right place. Here we’ll share with you our favorite ways to cut costs while on holiday, and you won’t need anything more sophisticated than the smartphone in your back pocket. Open up the App or Play Store and get ready to download the following apps. We’ve come a long way since the basic paper and pen budget that our parents used. Even an Excel spreadsheet is old-fashioned compared to the latest money management apps designed to help you budget. As a blessing to math-phobic people around the globe, apps like Mint have simplified financial planning so you don’t have to do any of the number crunching on your own. Mint just needs permission to access your various financial accounts, so it can organize your holdings in one place. With a few swipes of your thumb, you’ll see exactly how much you owe on your car lease and mortgage and compare it to all of your savings accounts. Not only will it show you what you have, but it will show you how you’re spending your money each month. It can even display how much you’re overspending in each category. It’s also designed to remind you of upcoming bills and other financial goals like an upcoming trip, making it easier for you to see if travel is in your future. Let’s say Mint gives you the go ahead; now it’s time to start planning. Unless you’re a straight-laced, type-A personality, this is probably the part of your vacation you’re looking forward to least. You may be tempted to hire a travel agent to do the hard work for you, but their services are expensive. Thankfully you can download TripIt, an app that organizes all of the different facets of your trip in one place. To get started, just forward any confirmation email regarding flights, accommodations, and tours to the app, and it will arrange the details in a clear summary on your phone. With a few taps, you’ll be able to see all of the confirmation codes, travel times and maps, and necessary travel documents of your trip. It can even synch with your calendar so you can see when you have to leave if you expect to catch your flight. Once you leave the US, air travel tends to get expensive. Quite often it’s the most costly part of your trip, and depending on these fares, you may have to cut corners on accommodations and tours at your destination. If you’re sick of spending too much on flights, download Hopper. 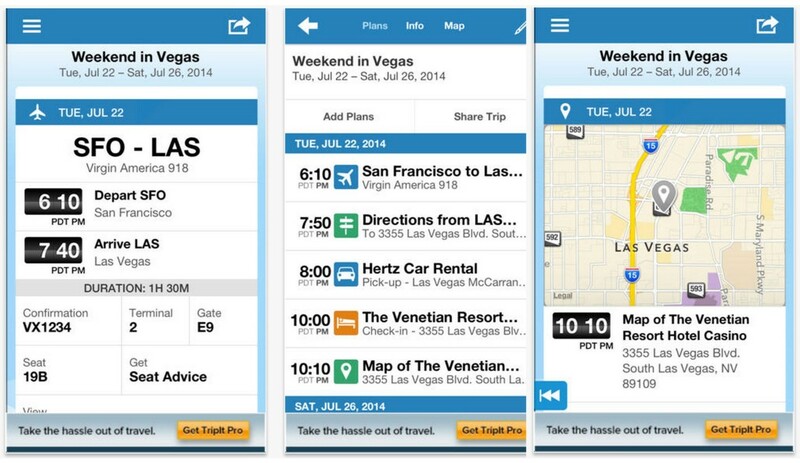 It’s an app that finds the cheapest flights to your destination during your specific travel dates. 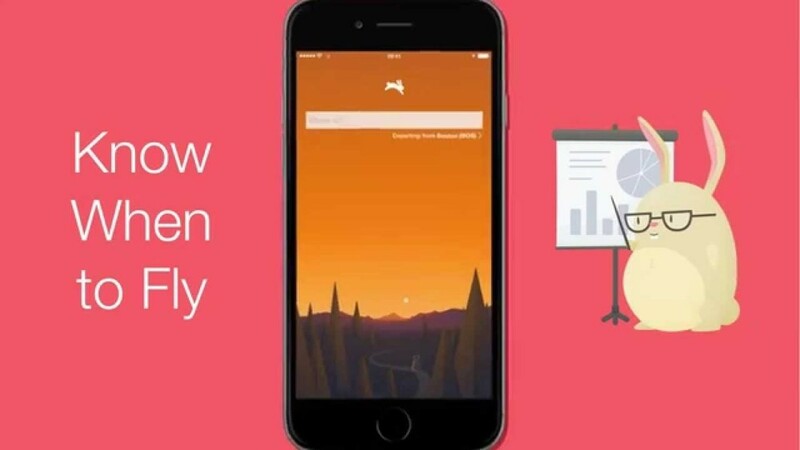 In 2016 it won a Google Play award for its quick and convenient service. According to its developers, you can book a flight in under a minute, and you can expect to save as much as 40% off of flights. Those are huge savings you can either bank or invest into other parts of your trip! After flights, your hotel room is the most expensive part of your vacation. Unless you’re willing to become a Couch Surfer (where you sleep on locals’ couches for free) or share a 12-bed mixed dorm room in order to save some cash, Hotel Tonight is right up your alley. 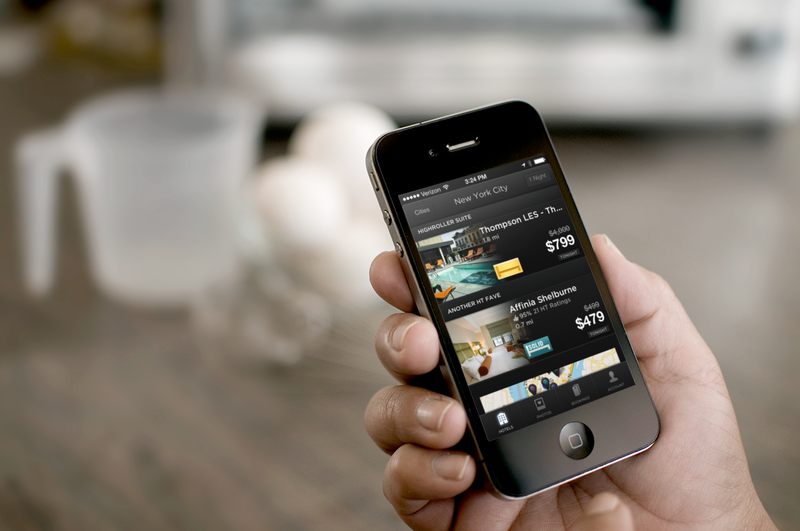 Hotel Tonight can connect you with the latest deals on nearby hotels. The one caveat is you can’t book in advance, as it relies on using the hotel rooms still empty at the end of the day. It’s worth the wait, however, as participating hotels discount their prices just so that these rooms don’t stay empty. This isn’t an exhaustive list. There are tons of financially friendly travel apps to choose from, and you can have as many as your phone’s memory allows. What may take up a few megabytes can end up saving you a lot of money, so don’t let this list stop you from trying other apps. Just remember you’ll need to save some space for selfies! Put together, you may end up saving more than you thought. But don’t feel like a failure if you end up spending more than you budgeted. Once in a lifetime experiences, need-to-have souvenirs, and extravagant dinners are a part of being on holiday. Sadly, they all cost money. At the time, it may not matter if you buy gifts for everyone back home, but it will if you return to find your mailbox stuffed with bills. You may not have enough to cover these unexpected charges on your own. If you end up spending more than you bargained for even after the use of your travel apps, check out a Credit Access Business like MoneyKey to cover any cash shortages you have upon your return. They facilitate flexible installment loans on your behalf, connecting you with third party lenders that provide up to $1,000 on a faster time line than a traditional bank. A vacation at any time can be expensive, but with careful planning you should be able to tell if it’s in your capabilities this summer. You can keep costs low by using apps like Mint, Hopper, and Hotel Tonight, but don’t be surprised if you end up spending more than you intend.You can always find a CAB willing to help you recover from your summer holidays.